a night curated by Rebel Up @ Le Sucre club, Lyon, rooftop culture & club! A rich musical heritage and community, the territory of the Mediterranean is a breeding ground in which many new artists find their inspiration. East and West have never been so close when the sounds of Tunis, Istanbul or Cairo and the electronic diaspora seize electronics to revisit and transform their oriental influences. For this first Club Méditerranéen night of the year, we can expect electro-Arab sets of rough and hypnotizing sounds by Rebel Up SebCat, Tropikal Camel and Rafael Aragon. Behind the ironically exotic alias of Tropikal Camel lies Roi Assaya, producer and MC from Jerusalem. He adopted this artist’s name when he moved to Berlin in 2013 and began a musical and political approach. As a true cultural archivist, he collects traditional music from North Africa and the Middle East, then recomposes these polyrhythms on Ableton, precipitates them in a future bass climate and “shamanic sound textures”. Rafael Aragón is a DJ / producer whose roots extend into Arab and Latin cultures, growing up in the Parisian suburbs in a cosmopolitan world that has shaped it. He started producing beats at the age of 20, obsessed by the idea of mixing folk music with more electronic patterns and creating a balance between organic and synthetic. SebCat breaks the boundaries to represent youth and socio-political developments from around the world, through cosmopolitan music of the diaspora merged with (inter)local traditions. Pantropical x Arab Film Festival is an integral part of the annual Arab Film festival [http://arabfilmfestival.nl/ / 29 Sept – Oct 02]. A celebration of forward-looking, bass-ridden Arab dance music with GAN GAH, Deena Abdelwahed,Rocky B-The Tropikal Camel, and Duckfood. Venue = Roodkapje Rotterdam, within walking distance from Rotterdam CS. He’s on the rise; Gan Gah is a young, DJ / producer fed by traditional Gnawa and Berber rythms since he was born in the suburbs of Agadir. Now based in Brussels, he knows how to shake a dancefloor with his bewitching beats. Offering a clever combination of club music and traditional North-African music, Gan Gah’s first EP “Souktronics” shows his love for both his Moroccan roots and modern electronic music. Moroccan Bass, you said? As the main female representative of this generation of Tunisian DJs and producers, Deena Abdelwahed is not one to pander to commercial trends. She explores the urban rythms in the aftermath of the Tunisian Jasmine Revolution, where social conservatism has been on the rise and only a few clubs adapt to innovation. Deena caters to those who seek alternatives to electronic music parties that either serve as lazy entertainment or an excuse to blow off steam and vent social frustration. In the past few years, since moving to Toulouse, Deena has made herself heard at music festivals all around Europe winning over crowds with her energetic music. The Afro-haired electronica/beats/global bass shaman from Jerusalem; Tropikal Camel aka Rocky B Assayag is a musical explorer traversing genres, creating an original musical language; a journey into Jerusalem’s unique sound and a fusion of Bass, Techno, Hip-Hop and the raw rhythms of tribal Middle- Eastern and North-African music. Duckfood’s massive music collection absorbs anything from renaissance to Moroccan trance, so who else to ask for this Pantropical x Arab Camera special? His DJ selections are colourful and not hampered by any preoccupation about genre. Just dig in! should you be in Berlin this weekend, from friday to sunday Rebel Up! SebCat will play 4 gigs. @ Banja Luka, Oberbaum Strasse (Kreuzberg) > basement party! oh yeah, Friday the 13th! Black cats and all… and a very good underground party @ Recyclart too! 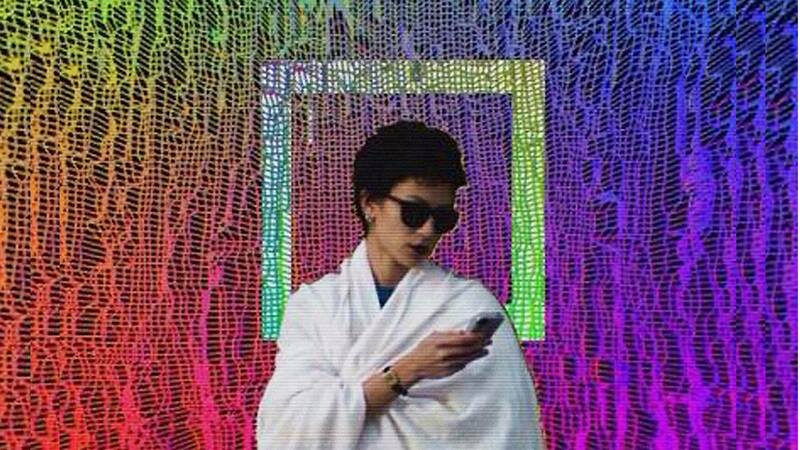 Far from the current Ayatollah Oriental fashion, which flood us with Orientalist and post-colonial clichés, Arabstazy is the action that created its own movement. The collective was founded in 2013 by a handful of artists spread across Tunis, Paris and Berlin, they organize their independence by starting to organise their own parties and edit their tracks on their home label Shouka (*thorn* in Arabic). They establish unthinkable links between different pieces of the puzzle of the North African identity, moving smoothly to esoteric Sufi Stambeli possessions … Thus, in the hands of this young Franco-Tunisian collective the united spirit of North African trance is fully expressed. At their parties, eclectic artists such as SKNDR, Tropikal Camel, Wetrobots N3rdistan were all part of the amazing Project Chaos made in Tunis. True to their taste for dark superstitions, Friday the 13th they will tread the soil of BXL for the first time. They are missioned by their guru Mettani 滅, producer Deena Abdelwahed, female VJ Waf and shaman Tropikal Camel, who just released his 11th album on Shouka in K7 format. A night for musical visionaries who want to explore Arabic electronic sounds, beyond Acid Arab. the guru of the Arabstazy collective. His live performances are inspired by North African healing rituals, and make the link between mystical and animist possession trance. His sound is dark and organic, mixing odd polyrhythms with vibrant melodies. He invites you to explore the flip side of your soul. 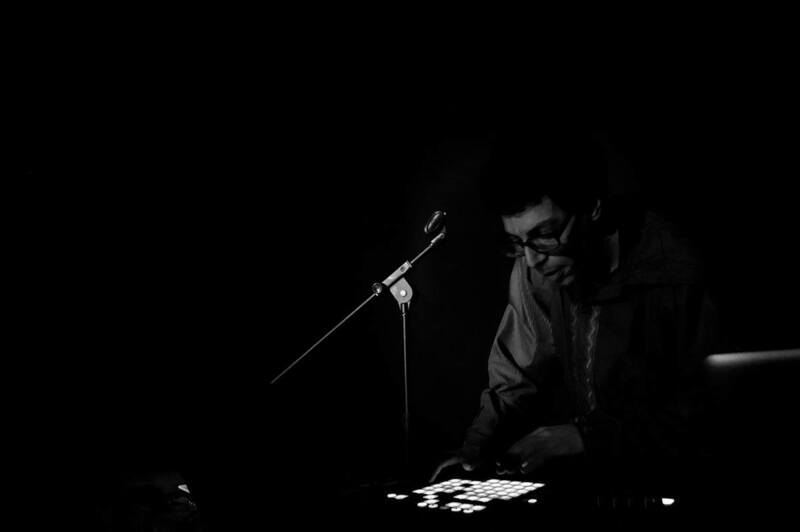 Coming from the noise rock scene, he uses his voice as raw material with which he sculpts his sound aided by various electronic and analogue instruments. Works hard to inject a dose of innovation and experimentation into electronic music in Tunisia. Part of the Tunisian alternative scene, she combines urban rhythms to her personal taste and brings highly energetic avant-garde music that is regarded as the future of Tunisian electronic music. In 2014, she was discovered by the collective Arabstazy and ever since she has become the prophetess. Born in Jerusalem and where he grew up, Roi Assayag has lived in Berlin since 2013. His new project is the musical exploration of his own Arab roots. From Kurdistan to Iraq, passing through Morocco, he takes us on the journey of conscience, through the limbo of his fragmented identity. 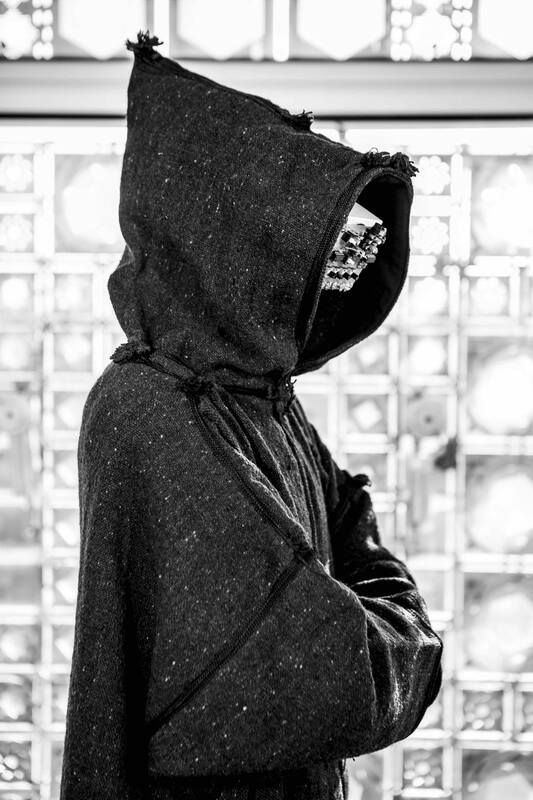 Performer and MC extraordinary, his live sets are an experience that will leave you deeply transformed. Uses videos and photos to embody her thoughts, emotions and to translate questions. Driven by a desire to treat the idleness of sensible beings to create chronic heterotopias at her disposal, she gradually opens a creative future that puts the scenography at the center of her research. The visual soul of Arabstazy since its creation, she is also part of other projects such as Wafolyv and Planningtorock. resident DJ’s of the Nightshop parties. Tonite they will explore the past & future of the Northern African & Arab world in full sound, warming up & closing down. another special Rebel Up! Soundclash night at Bonnefooi and this time we go to the eastern mediterranean for some arabic spheres! Hailing from Jerusalem, currently living in Berlin, the grandson of Jewish immigrants from Morocco, Austria, Iraq and Kurdistan and growing up with hearing hebrew, arabic, french and german around him, Roi ‘Rocky’ Asayag is a true mix of Jewish and Arab bloodlines. His Tropikal Camel project is a musical mirror of a seminal journey into his Arabic roots. Soul-searching through his intricate identity, he takes us from Kurdistan and Iraq to Morocco. This is how Tropikal Camel is born; an Arab Jew chasing the lost connection to his Arab culture. Dressed in a Moroccon Kaftan cloak, he becomes a witch doctor, a master of ceremony of a musical journey that tries to raise questions and purify the spirit. His vibrant sound is a maze of dense arabic spheres from the past and present, heavy dancehall bass and tropical electro. As always expect a diverse and eclectic mix of tunes from around the world and afro-latin-arab communities. Global bass, digital folk pop, any good beats from the global south, rooted in local traditions… Select global, play local! from 22:00 til very late….